The idea of opening a school in his native village came to Raja Qaiser Ghaffar in 1995. Qaiser had always had an acute awareness of the connection between education and progress and felt that even if one child of a poor family could receive a good education he would be able to help improve the economic conditions of his whole family and also influence thinking within the family, a manner of combating extremism. Qaiser was therefore determined to do something for education in his village. Arnim Schulz, a German language professor at the Goethe Institute of Barcelona. 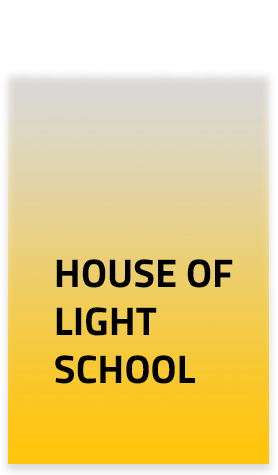 The two friends elaborated an educational project they named House of Light School. The objective was to provide free quality education to the children of Qaiser’s village. In 2005, after many efforts, they established Horizon International Trust. After collecting funds from family and friends they established the House of Light School in 2006 with a batch of 25 underprivileged children belonging to Pind Begwal and its surrounding areas. Qaiser’s wife, Saadia, played a vital role in the establishment and subsequent running of HOL as Principal of the new school. She has since continued to play an exceptional role in that position. HIT’s affiliated branch, HEfP (Horizon Education for Pakistan) was established in 2007, in Spain, with Arnim Schulz as its president. After Arnim retired the new President is Christel Plumer. HEfP provides HOL School with financial help through fund raising, as well as help and collaboration in educational training. The group works independently and exclusively on an voluntary basis. In 2007 Qaiser’s family donated 2.5 acres of land for the construction of a building for the House of Light School which had been in rented locations since its inception. In 2014 the Japanese Embassy, through its GGP Program, donated funds (USD 107,080) for the construction of Phase 1 of the school building. This construction was completed on March 2015 and the school children moved into their new premises. Work on Phase 2 started in December 2017 and is complete except for the painting work. We received about USD 50,000 from two main donors and smaller funds from other sources including HEfP. Phase 2 includes 7 more classrooms, a library, a Montessori room, a computer room, 2 science laboratories, a Day Care Center, 4 bathrooms for girls and 4 for boys. In Phase 3 we will build a Multipurpose Hall, a dining room and a kitchen. The cost of it will also be about USD 50,000. Hopefully, we shall be able to collect funds not only for completing the construction of the school but also for a college so that after school further education for the children is in the same area.